Tsukiji Market is known as a fish market that is commonly packed with many people every day. The event starts very early in the morning. It is visited not only by those from the fish industry, but also by local people and many tourists who want to enjoy fresh seafood. 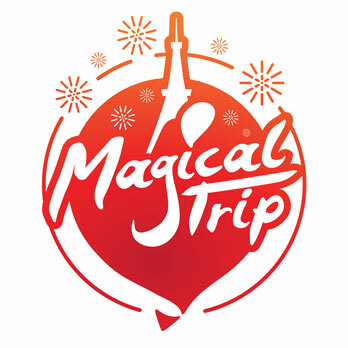 There are also a variety of souvenirs popular among tourists. So, remember that Tsukiji Market is not only a place to eat, but you can enjoy the shopping too. There are a lot of souvenir options, which you can choose from the typical ones to the exclusive souvenirs only available in Tsukiji Market. Enjoy selecting your favorite ones! “Ito Uroko” is a long established shop that has been supplying rubber boots for about 100 years. The shop had always supported people’s foot from a muddy ground of the fish market since the time fish market was in Nihonbashi. Even now, the shop receives a lot of customers who works at the market, as well as from others who just want the boots for various outdoor recreations. While also more recently, other souvenir items at the shop have been well received among tourists. Especially the “Tsukiji T-shirts” which displays various kanji characters and Japanese design illustrations have been very popular. It is an item recommended for those who want unique souvenirs as well as to express their love for the Japanese subculture. Traditional Japanese chopsticks are popular items among foreign tourists. “Komiyama Shoten” is located in the outer Tsukiji Market, and is a place where you can find a variety of traditional chopsticks. It is a long-standing shop with over 100 years of history in selling packaging materials. Komiyama Shoten offers waribashi (wooden disposable chopsticks), which has a simple design while using carefully selected material that allows you to feel the warm texture of wood. There are over 30 kinds of chopsticks displayed, including some of the beautiful lacquer coating chopsticks. Simply by looking at them, it will make you feel like you want to enjoy using them on a meal. Other items such as Ukiyo-e (Japanese art) coasters as well as small items made from washi (Japanese paper) are popular too. Komiyama Shoten is one of the best souvenir shops to visit. Tsukiji Market is not only about having fresh seafood early in the morning. There is also the pleasure of selecting perfect souvenirs to take home such as the finest Japanese tea that matches perfectly with Japanese cuisine. 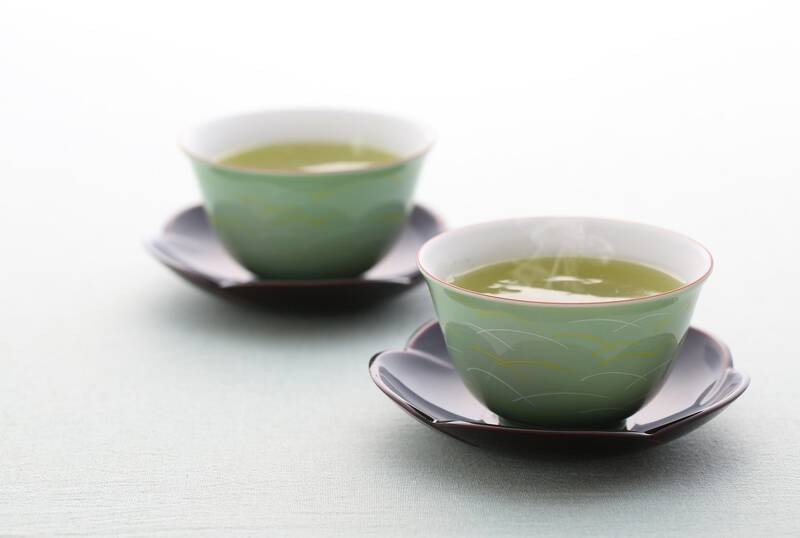 “Uogashi Meicha” has no café space, but you can still savor the delicious tea and buy the wonderful selections of tea. The shop offers more than 30 kinds of tea including a classic green vivid color Japanese tea, as well as English tea made from Shizuoka’s tea leaves. If you have never prepared Japanese tea before, the tea specialist at the shop will teach you how to make an excellent Japanese tea. 4.“Jugetsudou” in Tsukiji, Well Known for Their Matcha Sweets! Matcha tea is one of the most popular souvenir items among many foreign tourists. It is commonly found even in the Tsukiji Market where there is an abundant of fresh seafood and vegetables. “Jugetsudou” is a tea house owned by a long-standing nori (seaweed) company. This small tea house offers some of the savoriest tea. They also provide Matcha sweets that are favored by many, such as Matcha Mont blanc cake, Japanese confections and Matcha kakigori (frozen shaved ice dessert) in Summer time. Jugetsudou receives a lot of customers who visit to purchase Japanese tea leaves including local people, staffs working at Japanese style cafes and tourists. There are also several kinds of Matcha sweets available for souvenirs. It is a highly recommended shop for the Matcha lovers to stop by. “Ichifuji” is a long established Japanese tableware shop founded in 1951, as a place that offers lacquer ware and pottery. The small shop is crammed with tablewares making the tourists visiting the market to stop at the store. 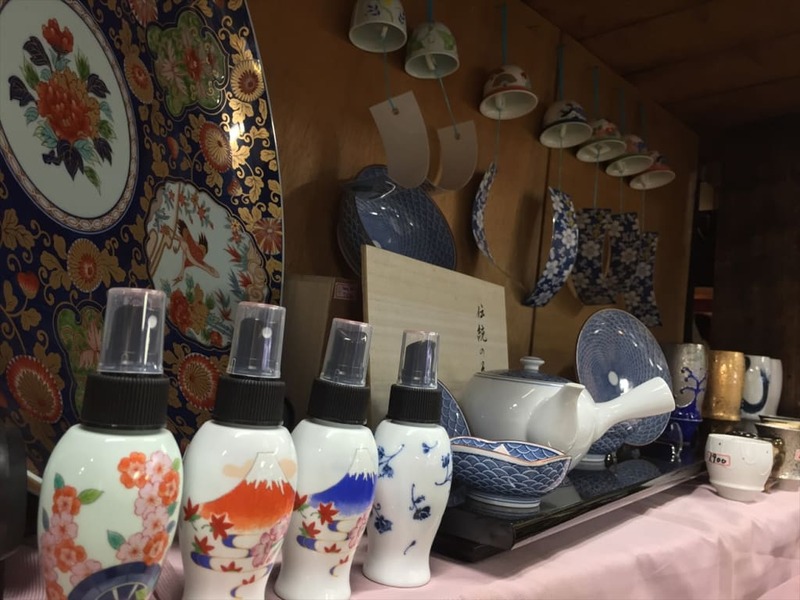 Ichifuji offers a wide range of tablewares from those of more reasonable ones to the traditional crafted Japanese styles such as Mino-yaki and Aizu-nuri products. Therefore, there are different customers, which include local people as well as those from the local luxury restaurants visiting the store to get fine tablewares. On their official website, you can read their manufacturing report, starting from a visit to the origin of their tableware, and the actual manufacturing process that guides you through the procedure till the products are created. Visit the website and enjoy the Japanese tableware from various points of view. If you are interested in visiting Tsukiji Fish Market, please also see Tsukiji Market walkaround tour with the “King of Tsukiji” Tour.